Sorafenat (Sorafenib) is an effective medicine that prevents the growth and reproduction of cancer cells. It contains Sorafenib as an active ingredient. Sorafenat is used to treat late-stage kidney cancer, liver cancer, thyroid cancer and other related conditions. It is a cancer agent that interferes with the growth of cancer cells that destroys the body. The active ingredient of this drug is a targeted therapy drug called tyrosine kinase inhibitor. It works by blocking signals in the cancer cells that make them grow. Blocking the signals causes the cells to die. It can also stop cancer cells from developing in the blood vessels. Blocking the signals may reduce the supply of oxygen and nutrients to stop the cancer cells from growing. You can buy Sorafenib here. Why buy Sorafenat (Sorafenib) for Cancer? Doctors usually prescribe this drug because it is effective at its reasonable cost. Based on surveys, patients with kidney cancer take this drug due to its efficacy in keeping cancer under control. How does Sorafenat (Sorafenib) work? It stops signals that tell the cancer cells to grow. It stops cancer cells from forming new blood vessels which they need to grow. Treatment that stops blood vessels forming is called anti-angiogenesis treatment. How to use Sorafenat (Sorafenib)? Take Sorafenat exactly as prescribed by the doctor. Take this medicine on an empty stomach at least 1 hour before or 2 hours after eating twice a day. Swallow the whole medicine without breaking, crushing, or chewing before swallowing. Take this medicine with a full glass of water. Continue to take this medicine even if you are feeling well. Do not miss any doses. To be sure that this medication is not harmful checked the blood pressure frequently and visit the doctor regularly. What are the side effects of Sorafenat (Sorafenib)? Before starting the medication, inform the doctor about the detailed medical history of past health problems. Provide the list of allergies as well as the medications that are currently on. This medicine is not recommended for patients suffering from squamous cell cancer. This medicine is highly likely to affect the heart and may cause severe bleeding. Seek medical advice immediately when feeling chest discomfort, extreme dizziness, unusual sweating, vaginal bleeding or blood in vomit. Monitoring of blood calcium levels and thyroid hormones, fluid balance and electrolytes are needed. Take caution if planning to have a surgery or have been recently operated. Posid (Etoposid) is an anti-cancer medicine. This medication is used in combination with other drugs to treat certain cancers like cancer of the lungs, blood, testicle, and ovaries. The ingredient that it contains acts as an antineoplastic. It stops the cancer cell to undergo the process of mitosis. It also prevents cancer from spreading throughout the body. You can buy Etoposid here. Temoside (Temozolomide) is an oral anti-cancer drug that is used in chemotherapy. This drug is used for the treatment of certain types of brain tumors. It is sometimes used for the treatment of bone cancer that has come back. Temoside is an alkylating agent. It is not recommended for children under 3 years of age. It should also be given with caution in patients with renal impairment. You can buy Temozolomide here. Mamofen (Tamoxifen) is an anti-estrogen medication. This treatment is used in treating breast cancer in men and women. Each tablet contains an ingredient that blocks the function of estrogen. 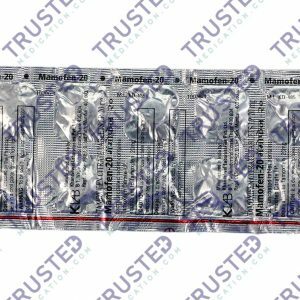 Mamofen is also used for infertility and gynecomastia treatment. You can buy Tamoxifen here. Foligraf injection is a follicle stimulating hormone. It is a synthetic form of the naturally occurring hormone in the body that stimulates the ovaries to produce eggs. It is used in treating conditions like polycystic syndrome (PCOS), PCOD and infertility in both male and female. In males, Foligraf helps in producing sperms due to the low levels of the hormone. Foligraf comes in an injection form for intravenous use only.